These Dog Training Videos Will Transform Your Aussie Into A "Good Dog" Who Listens! Does your Aussie's behavior have room for improvement? 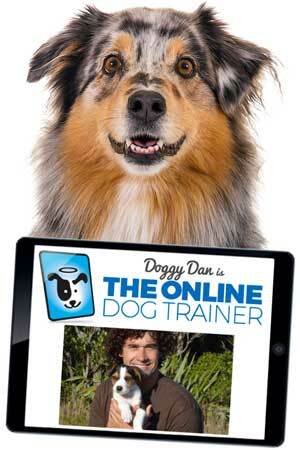 Check out the videos created by Doggy Dan on any computer, tablet, or mobile device. I receive a lot of questions from Aussie owners who are struggling with getting their dogs to listen. Some are at their wit's end while others are dealing with behavior problems that range from the embarrassing to the downright dangerous. Hi, I'm Anton Hout the editor of Australian-Shepherd-Lovers.com and creator of the popular ebook for Aussie owners, The Guide To Australian Shepherd Training & Care. While the ebook has gotten great reviews from readers, and I recommend you get a copy if you haven't already, sometimes it can really help to watch a professional dog trainer show you in a video exactly how to train your dog properly or how to deal with specific behavior problems. 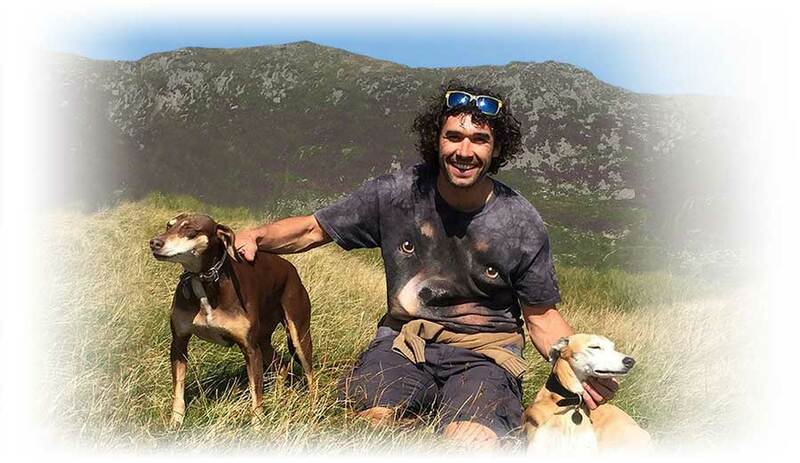 is a world-class dog trainer and animal welfare advocate who lives with his wife and children in New Zealand. Who is Doggy Dan? 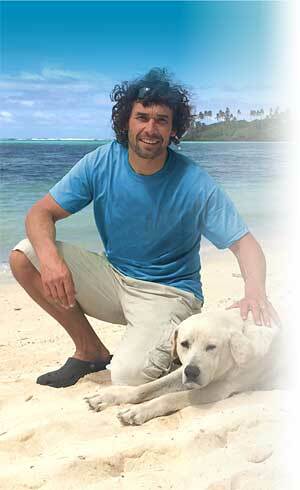 Dan lives in New Zealand with his wife and children and is a rising star among professional world-class dog trainers. His video-based online dog and puppy training program is regarded by many as the best program available today. Why Do People Love Dan's Dog Training Program? Firstly, it's Dans approach to training. 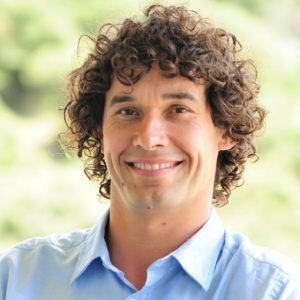 He is endorsed by the SPCA (Society for the Prevention of Cruelty to Animals) in New Zealand and is an animal welfare advocate. This is reflected in his training methods which focus on developing your dog's respect for you and your development as a trusted leader. This means that your dog learns to listen to you because they want to—not because you are bribing them with treats or threatening them with punishment. Respect and leadership are at the core of Dan's program. Secondly, it's Dan's teaching style. You'll be able to see for yourself with the sample videos he makes available that he is very personable and presents things in a way that is easy to understand. He shows you step-by-step what to do and explains why it is so effective when you train your dog using his method. Thirdly, Dan and his team are available for personal consultations. You can ask about any about any specific problems you are having with your dog and get the answers you need in the forum. His library of dog training videos is comprehensive, but it's good to know that if any issues should arise you can get personalized advice when you need it. How Can Doggy Dan's Dog Training Videos Help Me? Doggy Dan's videos are not just a random collection of videos covering various topics. They are part of a comprehensive dog training program that includes videos, articles, PDF resource guides, audio programs, and consultations with Doggy Dan and his team. Dan's program provides you with the underlying principles of dog training with his unique approach that starts with the Five Golden Rules. Dan shows you how to become the respected leader that your dog will want to follow. The importance of the Five Golden Rules cannot be overstated. Dog training is easy when you use Doggy Dan's exercises known as the "Five Golden Rules" first! Most people attempt to train their dog with the scattered knowledge they have picked up over the years. 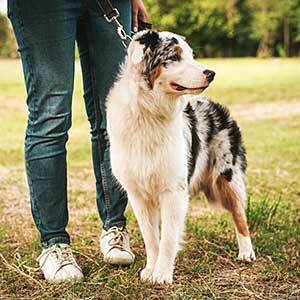 Things well-meaning family members and friends have told them—none of whom are dog trainers. Things they saw in random YouTube videos... Some of it is true, a lot of it is false or outdated, and all of it is out of context or completely lacking the vital foundational principles taught by Doggy Dan in his exercises known as the 5 Golden Rules. This is the FIRST thing you need to understand before you start any other training with your dog. Without these exercises your dog will never be in the learning state they need to be in for you to make significant progress and dog training, or dealing with behavior issues, will be hit-and-miss at best. With the 5 Golden Rules you will see positive results in only a few days. It's that dramatic of a difference. 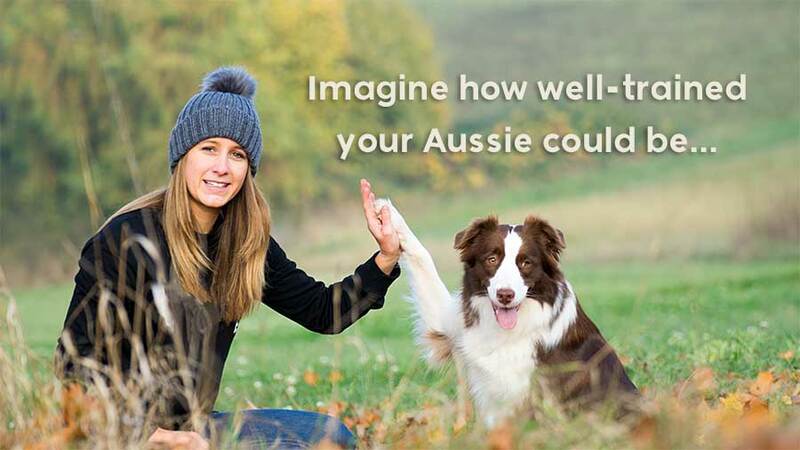 Imagine how well trained your Aussie could be in just a few months! You will then build on those core principles with resources like the "8 Everyday Tools and Techniques". All of Doggy Dan's instruction that follows is part of a cohesive whole as Dan covers puppy training, basic and more advanced dog training (like how to motivate dogs without the use of food), how to read a dog's body language, command training, and dealing with behavior problems to stop any barking, pulling on leash, aggression, jumping, not coming when called, and so much more. 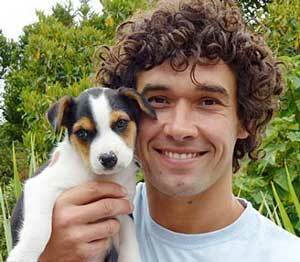 Here's Doggy Dan with his puppy Moses who is featured in many of Dan's puppy training videos. If you have a puppy and want to get them properly trained right from the start, Doggy Dan has an entire section that covers topics just for new puppy owners. You'll learn how to raise the perfect puppy and solve all those early behavioral problems before they become engrained long-term bad habits. Dan also covers command training...from learning to stay to stopping biting, mouthing, and chewing. You'll meet Dan's own puppy, Moses, who he adopted from the SPCA. With Moses, Dan will show you—step-by-step—what you need to know about raising and training your own puppy. Learn from all the videos Doggy Dan created as his puppy progresses from 8 weeks to 1 year. It's all covered—from crate training to off leash walking and everything in between. These are just some of the topics covered. Doggy Dan's videos have the answers you are looking for. He explains things in a way that is easy to understand so it is easy for you to implement. He explains the concepts and shows you exactly what to do to get the same—surprisingly rapid—results his clients do. You can watch as Dan tackles real cases with his clients. To understand how Doggy Dan can get results like this you have to understand what goes wrong for dog owners in the first place. Dan's training program shows you what you need to do BEFORE you even begin obedience training or trying to deal with behavior problems. Otherwise, you are stuck playing whack-a-mole with one problem after another, year after year. That's why Dan teaches the Five Golden Rules. Once this is done everything else falls into place and you can stop problems that may have been going on for years... or avoid problems from developing to begin with. You can watch Dan's dog training videos on your computer, tablet, or phone. You can access Doggy Dan's site from any computer, laptop, tablet, or phone making it ideal for training your dog at home, at the park, or wherever you like. Because it's online you can access lessons 24/7/365 when its convenient for you. Learn at your own pace. Dan's site even keeps track of the lessons you've completed so you always know where you left off. Training your dog doesn't have to be hard. Once you've seen Dan's videos where he introduces his methods and you've begun to use them you'll be amazed at how quickly your dog responds. You can also read many comments and testimonials from happy customers on Doggy Dan's site. Can I Watch A Sample Of Dan's Dog Training Videos? Absolutely! Just choose the topic that interests you the most and you'll get to see a video of Dan in action. Doggy Dan's approach to training is humane and endorsed by the SPCA. It is based on leadership and respect—that's why it works! Dan shows you how to raise a puppy from day one so you can avoid having problems develop in the first place. Dan walks you through dealing with adult dogs who may already have problems or you want to take their training to the next level. Dan shows you how to deal with behavior problems, from the embarassing to the dangerous. Dan explains everything in an easy to understand, step-by-step teaching style and demonstrates with his actual clients so you can see exactly how to apply it with your dog. I especially like that Dan provides sample videos and a trial option so you can see for yourself that his methods work with your dog first. See results in a few days. Yes days. The proof is in the pudding, as the saying goes. Many of Doggy Dan's clients are shocked at how quickly their dog is transformed into a calm dog that actually listens!